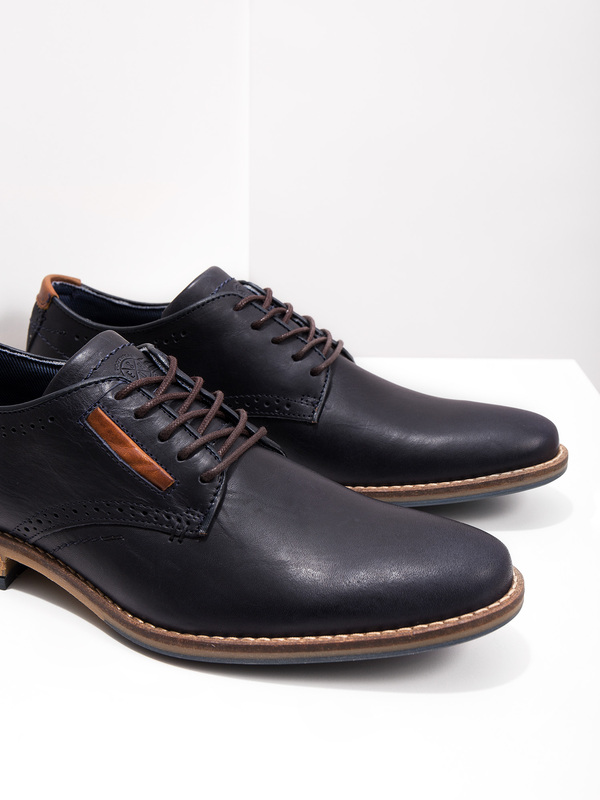 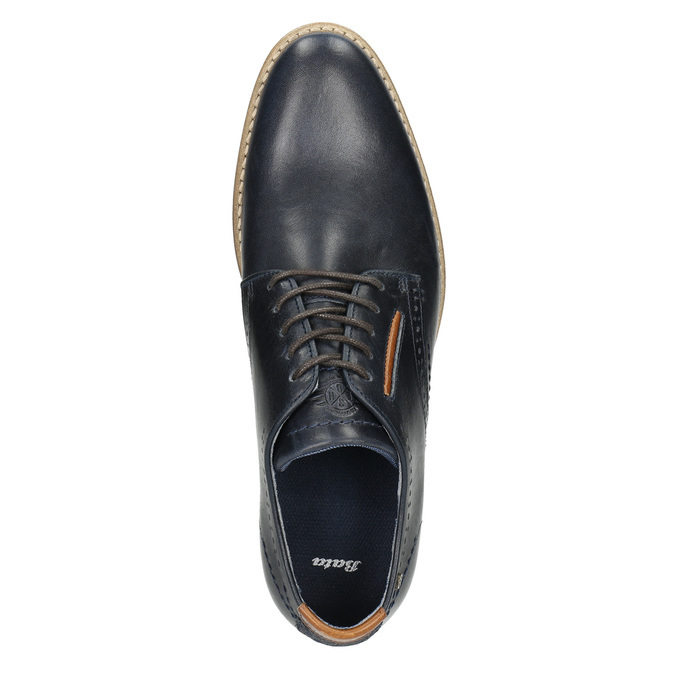 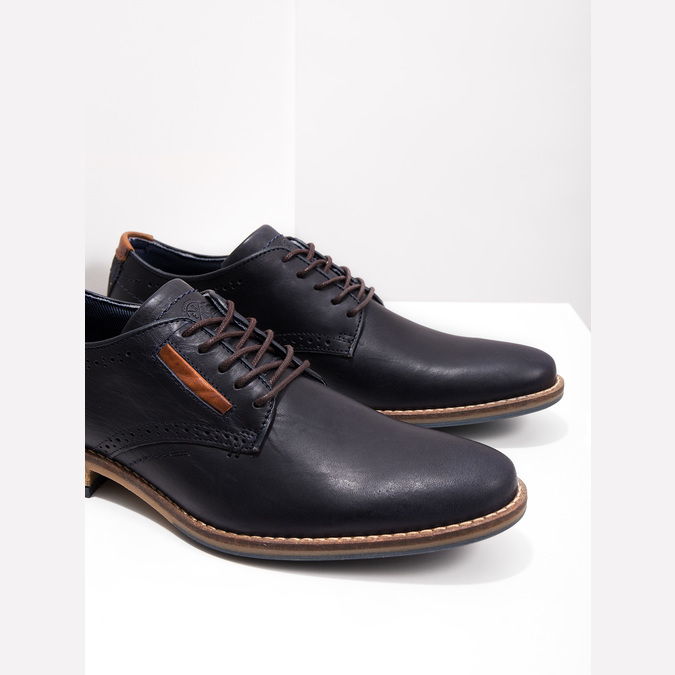 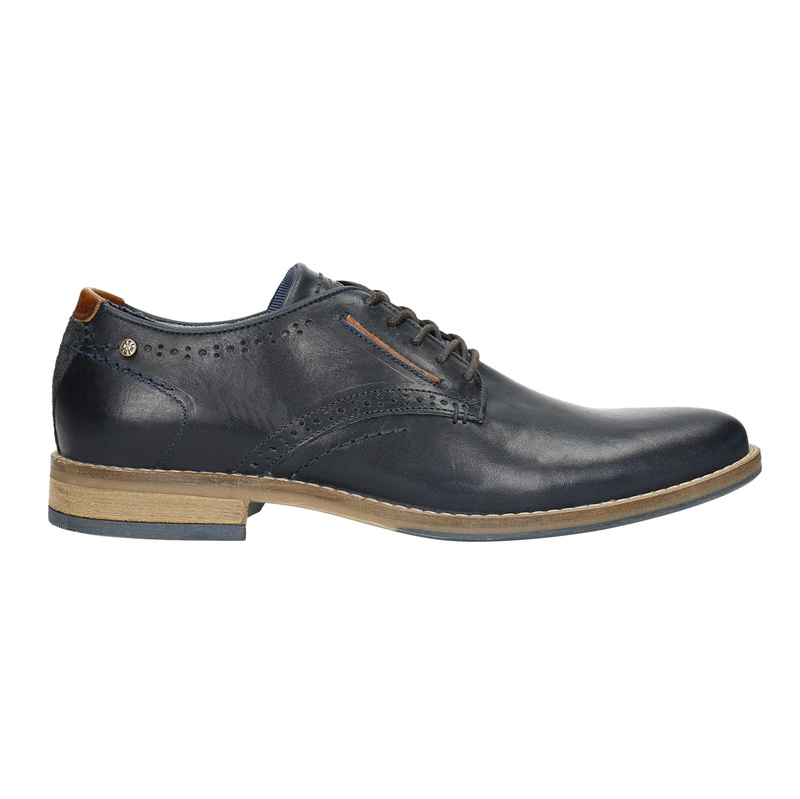 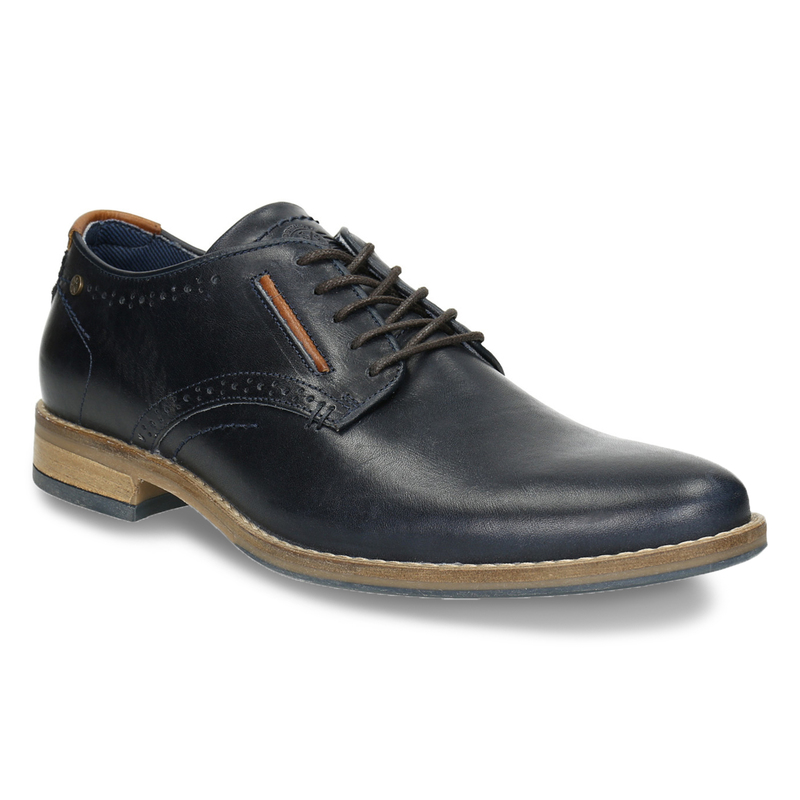 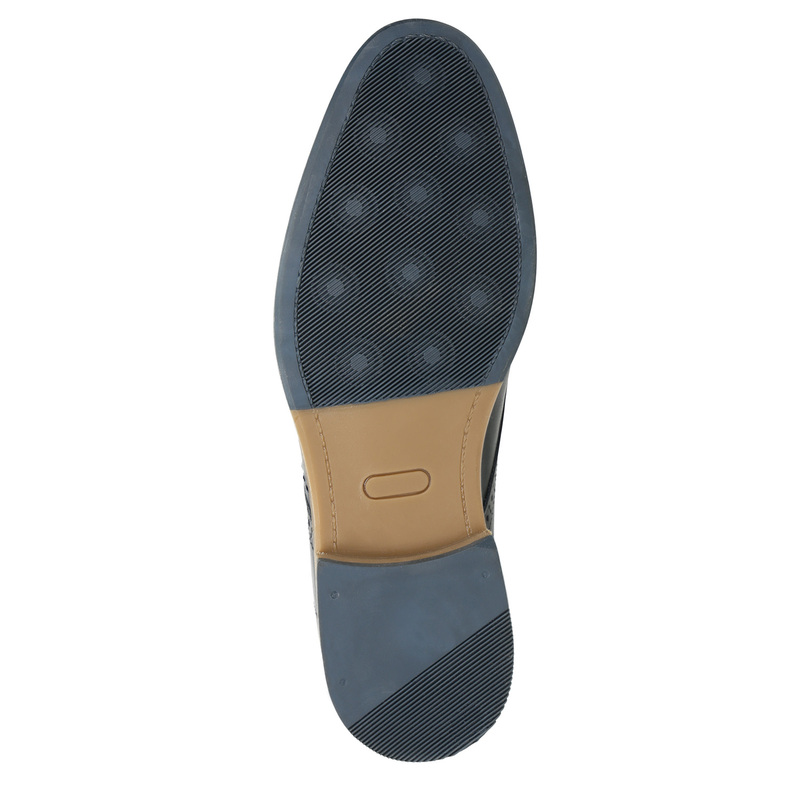 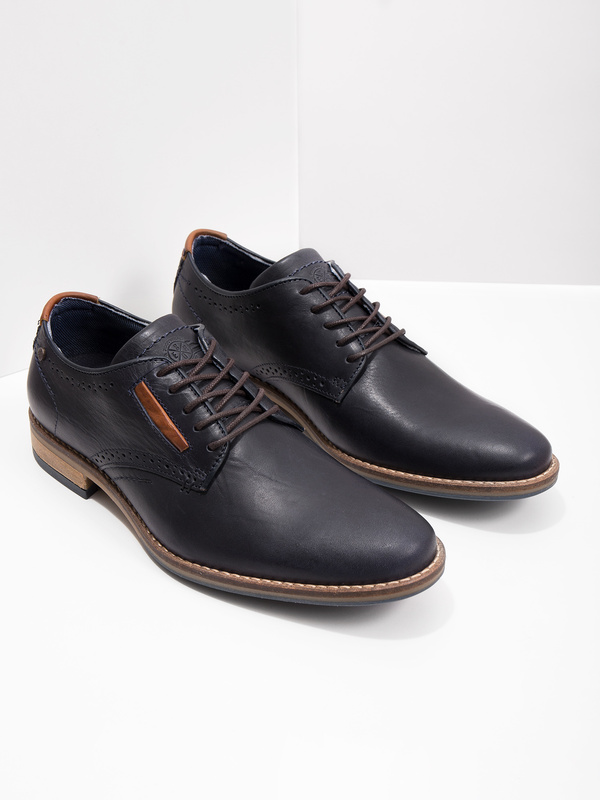 These men’s leather shoes have a dark blue upper and are adorned with stitching and a hint of Brogue decoration. 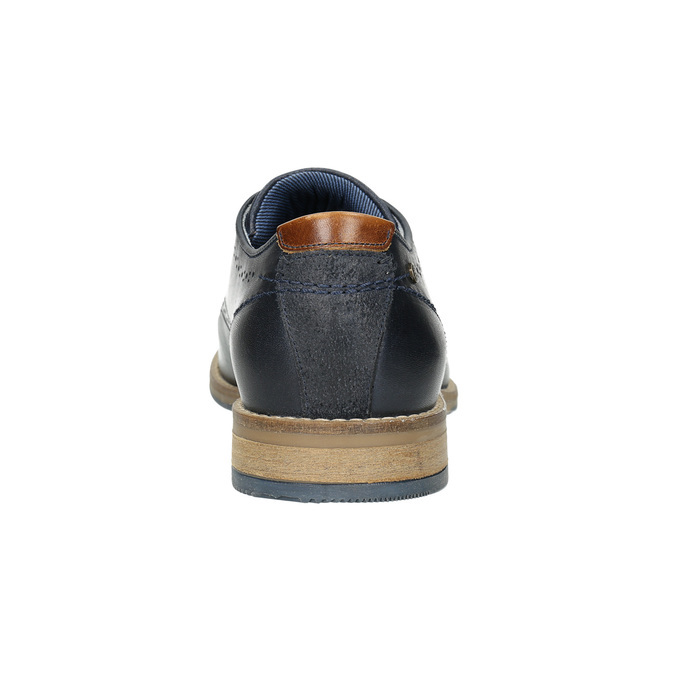 The light sole has distinctive stitching and the blue outsole is an original detail that fits perfectly into the whole casual look. 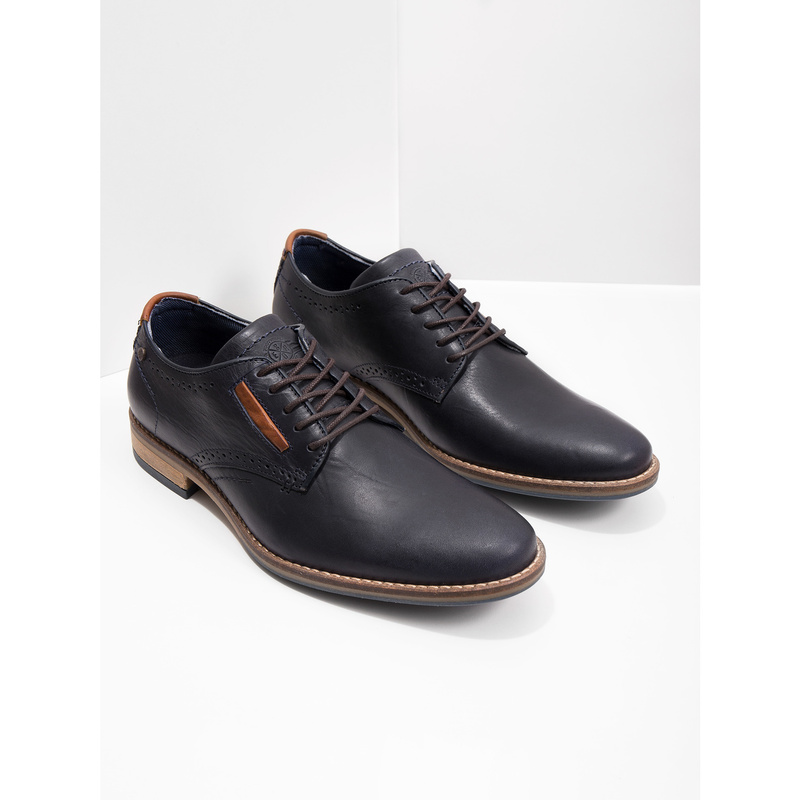 Wear them with Chinos's trousers and add some colorful socks.